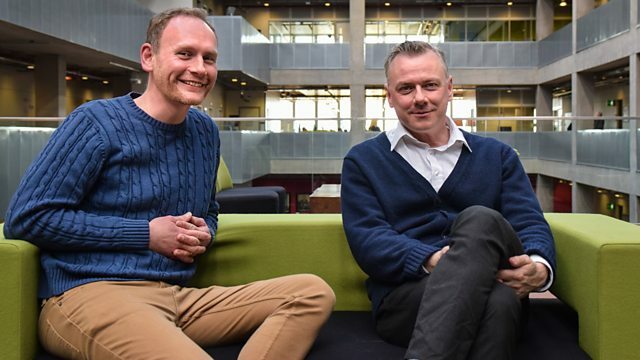 Composer and drummer in Teenage Fanclub Francis MacDonald joins presenter Stephen Broad to talk about Hamilton Mausoleum suite - his latest piece that took inspiration from a remarkable building. Plus special recordings from Perth of piano legends Imogen Cooper and Alexander Gavrylyuk. Performer: Xuefei Yang. Music Arranger: Xuefei Yang. Orchestra: Orquestra Simfònica de Barcelona i Nacional de Catalunya. Conductor: Eije Oue. Performer: Justine Watts. Performer: Stewart Webster. Performer: Emma Peebles. Performer: John Davidson. Performer: Sharron Griffiths. Performer: Francis MacDonald. Performer: Justine Watts. Performer: Stewart Webster. Performer: Emma Peebles. Performer: John Davidson. Performer: Sharon Griffiths. Performer: Francis MacDonald. Chant Funebre Le Sacre Du Printemps. Piano Sonata in A flat major, Op 110, 1st mvt. Orchestra: Lucerne Festival Orchestra. Conductor: Richard Chailly. Ensemble: New London Consort. Singer: Catherine Bott. Conductor: Philip Pickett. Orchestra: Royal Philharmonic Orchestra. Conductor: Vernon Handley. Sir Malcolm Arnold: The Complete Conifer Recordings. Performer: Alison Balsom. Choir: Tenebrae. Choir: Adiemus Singers. Orchestra: Marylebone Camerata. Conductor: Karl Jenkins. Concerto grosso in D major, 5th mvt. & 6th mvt. Performer: Ludus Barroque. Performer: Oliver Webber. Performer: Will Dawes. Performer: Ludus Baroque, Richard Neville-Towle. Singer: Mary Bevan. Conductor: Richard Neville-Towle. Singer: Ed Lyon. Song for St Cecilia's Day, Look Down, Harmonious Saint, Concerto Grosso Op.6 No..
Choir: Glasgow School of Art Choir. Conductor: Jamie Sansbury. Performer: Hendrik Jan Renes. Ensemble: Nederlands Blazers Ensemble. Narrator: David Lang. Conductor: Stephen Mosko. Adams / Lang: Works For Wind Ensemble. Performer: Anna Besson. Performer: louis Creac'h. Performer: Robin Pharo. Performer: Jean Rondeau. Performer: Nevermind.